Valentine’s Day 2017 marks the second anniversary of the Building Love Campaign, with the new, expanded Ronald McDonald House Westmead now only $2 million away from its completion target, and construction well underway. Beginning with a vacant parcel of land in February 2015, the Building Love campaign has grown through the generous support of the Federal Coalition Government, the NSW Government, Ronald McDonald House Charities Australia, McDonald’s Australia and it’s Licensees, Channel Seven and dedicated corporate and community groups, and that empty lot has been transformed. 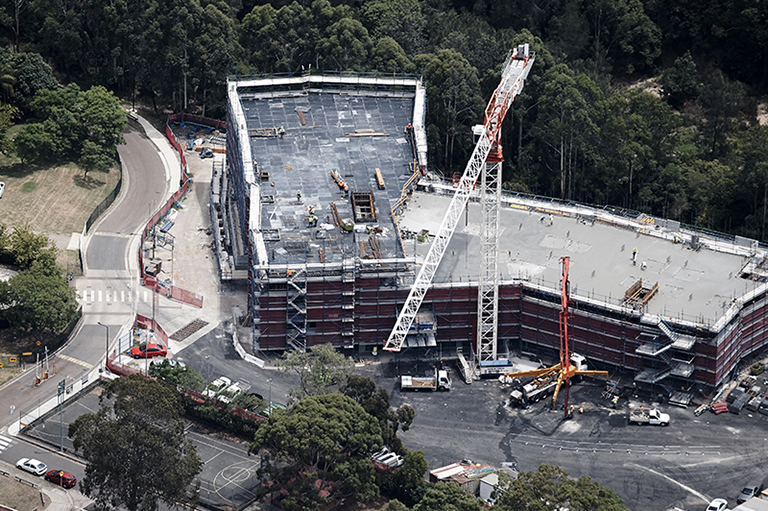 Click through to see how dramatically the new, expanded Ronald McDonald House Westmead has taken shape! The tough reality is that while Ronald McDonald House Westmead was able to accommodate and support 698 seriously ill children and their families last year, 400 families were still turned away due to lack of space. That's why the dedication to Building Love from Government, corporate and community groups is so vital: once the new Ronald McDonald House Westmead is complete, it will have the facilities and space to accommodate the growing number of families who need a home away from home while their child is seriously ill.